PHOTO: David Shannon | SouthPasadenan.com | Author/ Illustrator David Shannon has created over 35 books and continues to inspire children spanning over a generation. 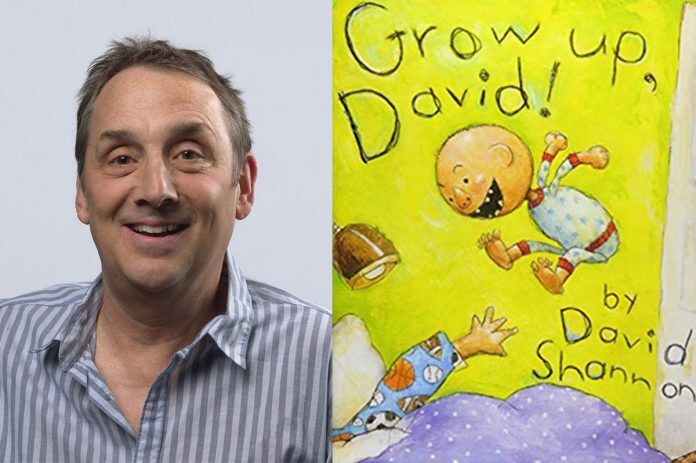 The South Pasadena Arts Council (SPARC) will launch its new Literary Project series for adult and family audiences on Sunday, January 20, at 9:00 a.m. at the Fremont Theatre in South Pasadena with a presentation by Caldecott award-winning children’s author-illustrator David Shannon, who will read his new book, Grow Up David!, followed by a book signing. A graduate of Art Center College of Design in Pasadena, Shannon has written and/or illustrated more than 35 books for children, and his work as an editorial illustrator has appeared in Time, Newsweek, Rolling Stone, the New York Times, and other high-profile publications. Shannon illustrated his first children’s book, How Many Spots Does a Leopard Have?, by Julius Lester, in 1988. After illustrating several more books, Shannon made his own children’s book debut as both author and illustrator of How Georgie Radbourn Saved Baseball, named a New York Times Best-illustrated book in 1994. His semi-autobiographical story, No, David!, received a Caldecott Honor in 1999. SPARC’s Literary Project will continue every other month with a Sunday morning schedule at The Fremont Centre Theatre. Doors will open at 9:00 am for coffee and pastries and conversation, followed by an author’s presentation and book signing. Admission to the readings is free. Children are welcome. The Fremont Centre Theatre is at 1000 Fremont Ave. in South Pasadena.